New Delhi : Prime Minister Narendra Modi on Tuesday accepted defeat with humility. His comment came after assembly elections results in five states--Rajasthan, Madhya Pradesh, Chhattisgarh, Telangana and Mizoram--showed that the BJP has performed poorly in these elections. 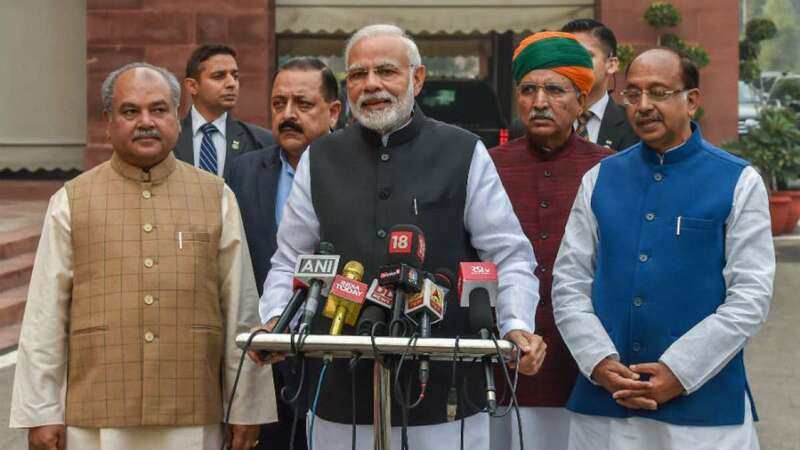 In a series of tweets, Prime Minister Narendra Modi thanked voters and said that BJP had worked hard in the states but Congress stood ahead than his party. PM Modi also said that, "Victory and defeat are an integral part of life." Congress President Rahul Gandhi said, "Mr Modi has taught me what not to do. He refused to listen to youngsters and farmers. Arrogance is fatal for a politician." The most important thing, he said, is what the people of the country feel. "As politicians, we have to listen and connect to what they feel and work with that sentiment," Mr Gandhi added.